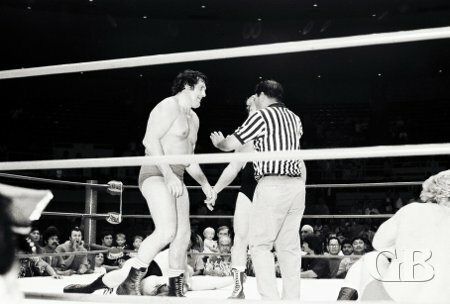 On January 9, 1974 promoter Ed Francis presented his first professional wrestling card of the year featuring two title matches and four other events. 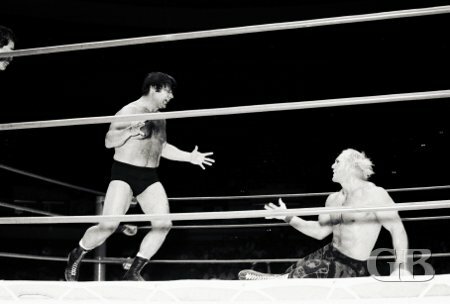 In the earlier matches, Sam Steamboat defeated Peace Brother Number One, Neff Maiava won over Peace Brother Number Two, and Billy Francis battled to a draw with Tosh Togo, filling in for Greg Valentine who was unable to wrestle. Sam Steamboat gets ready to throw Peace Brother 1 into the opposite turnbuckle. 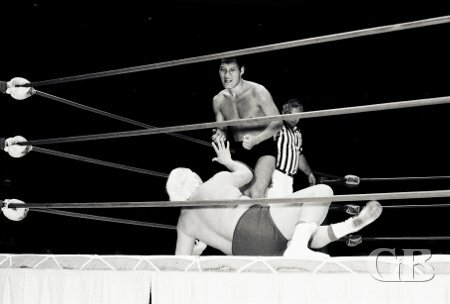 Bill Francis tightens his leg lock on Tosh Togo. The first main event featured Korean champion Pak Son and Ripper Collins. After both wrestlers split falls, neither was able to gain the third fall and the match was declared a draw. Pak Song confronts a squirming Ripper Collins. Pak Song about to deliver a chop to Ripper Collins' head. 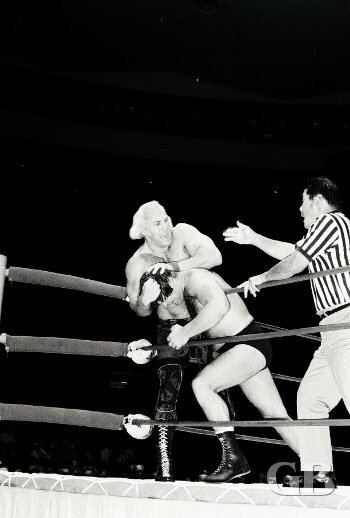 In the first of two championship matches, promoter Ed Francis put his Hawaiian Heavyweight Championship on the line against Superstar Billy Graham. Francis won the first fall with a sleeper hold however Graham won the last two falls to become the new Hawaiian champion. Ed Francis wins the first fall with a sleeper hold on Graham. Ed Francis moves in for the kill as Graham pleads for mercy. Superstar Billy Graham chokes Ed Francis in the corner of the ring. 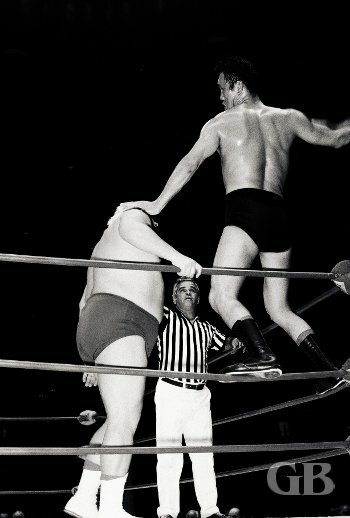 Billy Graham pins Ed Francis to win the Hawaiian Heavyweight Championship. The last event for the evening was for the AWA Worlds Tag Team Championship with Nick Bockwinkel and Ray Stevens putting their titles on the line against Billy Robinson and Red Bastien. After both teams split falls, all four men entered the ring and started battling each other and the referee disqualified both teams and the match was declared a no contest, thus allowing Bockwinkel and Stevens to retain their tag team titles. The World Champions Ray Stevens and Nick Bockwinkel approach the ring wearing their belts. 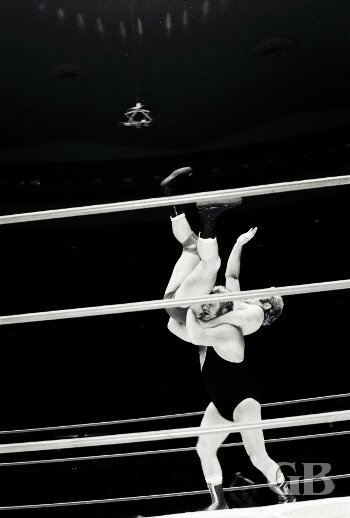 Billy Robinson has Nick Bockwinkel in a back breaker submission hold as Red Bastien subdues Ray Stevens in the background. 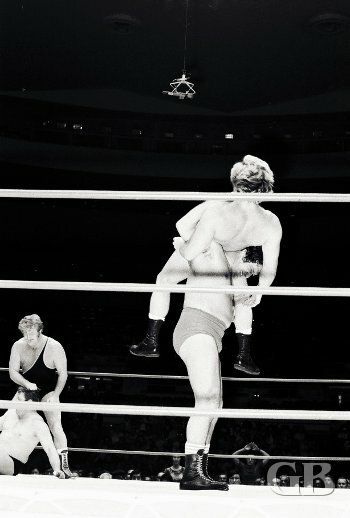 Red Bastien about to execute the Atomic Drop on Nick Bockwinkel. 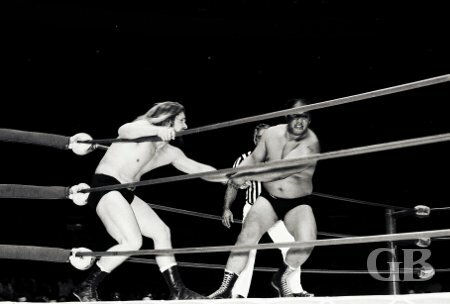 Billy Robinson and Red Bastien argue with referee Wally Tsutsumi as all four wrestlers remain in the ring.